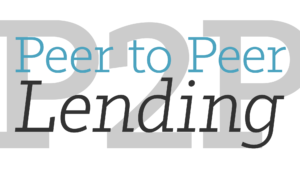 These days, midway through 2014, peer to peer lending continues to ride a sensational rate of growth. It took Lending Club five years to cross $1 billion in issued loans. In contrast, $1 billion in loans were issued this past April-June alone. Prosper issued about a third of that volume during the same quarter ($369 million), no small feat. And this growth shows no sign of stopping. Within the excitement, it can be valuable to take a step back from the hubbub and reflect on why this is a good thing to begin with. The most obvious benefit is the consistent yield it offers. As I’ve described before (Read: Why P2P Lending is Amazing), this is the first time in history that everyday Americans have access to the stable and lucrative returns of consumer credit, a 5-9% return for diversified peer to peer investors. This fact alone is remarkable, and reason enough for many to get involved. Over half a million loans have been issued by Lending Club and Prosper, and 80% of these were used to consolidate burdensome debt. This chart is an amazing reminder that we as investors are earning a solid return by offering borrowers a more reasonable container for the debt they carry, and I’m not sure the investor community is always aware of how significant this is to people, aware of how much a lighter debt instrument can improve a borrower’s quality of life. The reality is, burdensome debt is a terrible thing, perhaps one of the worst. In my opinion, stacked against the more acute societal ills in our world today, heavy debt is second only to things like alcoholism. This article from the New York Times emphasizes this well, highlighting thousands of farmers in India who have committed suicide. Basically, these farmers take out loans to plant crops. But if the crops fail, these over-leveraged farmers are often unable to pay the debt back, and the burden of repayment is so harsh that they take their own lives. These articles, though about societies poorer than the United States, do communicate an important point, which is how weighty debt can be upon the lives of the people who carry it. These breadwinners aren’t swallowing pesticides or selling their extra kidney because of some bizarre religious or cultural conviction. No, they are simply struggling beneath their loans. Further, these stories show us how not to issue credit to people; ergo, if a portion of your borrowers are selling their kidneys to make their payments, something is probably wrong with the way you are handing out your loans. Bad-practice #1 is really about underwriting. Credit becomes burdensome when it is poorly underwritten – when the people who issue the loans do not adequately assess the creditworthiness of the borrower and thus give a lot of loans to people who will struggle and wilt under the loan’s responsibility. A good measure of this is the lender’s aggregate rate of default. If a lender is issuing lots of loans, and a large portion of the borrowers go on to default (despite all the prearranged repercussions), both the investors and the borrowers are going to suffer. Not only have the loans gained volatility and a potentially negative return for their investors, but large cross-sections of the borrowers are experiencing the legal and emotional turmoil involved with failing to follow through on their commitment. Bad-practice #2 is more about the terms of the debt instrument itself. Loans with exorbitant interest rates, loans that punish late-paying borrowers with harsh fees and unnerving variable interest rates, loans that penalize those who wish to pay them back early, are all devices that issuers can use to generate extra revenue. But not only are the lives of the borrowers made significantly worse by these harsh terms, over-reliance upon them indicates that the people issuing the loans have, again, a volatile investment on their hands. An example of poorly issued debt within the United States has been (surprise, surprise) the way Americans issue and use their credit cards. To summarize our national condition, Americans carry $11.4 trillion in total credit card debt, which comes out to an average of $15,000 per borrower (Debt.org). Speaking to bad-practice #1 above, many of these credit cards were issued through the lax underwriting of the past decades, so lines of credit were given to people who should not have been approved for them in the first place. Speaking to bad-practice #2, these were revolving lines of credit with variable interest rates of around 15%, which any financial planner will tell you is a pretty poor way to hold on to long-term debt. Unfortunately, a long-term debt vehicle is what millions of people wanted. So lots of them went into debt who were unable to pay it back, the terms of the debt they took on being incongruent with the way it would be used. The result of this poor match-up was a downward spiral into debt for millions of individual Americans, and a collective degradation of our quality of life as a country. Indeed, struggling under debt negatively touches every part of person’s life. A parent in deep debt is less able to be a good parent, less able to take time to help their child with homework or attend their school play. A friend in debt is less able to be a present, relaxed friend; a spouse in debt, a less dependable partner. Saying this plainly in an internet article can come across flat, but if anybody has watched a friend or loved one drowning beneath credit card debt, they know the gravity of this condition. When the focus of someone’s week is completely bent on satisfying creditors, especially if income is already tight, the overall cell of that person and their family can become uncentered. Every aspect of life is made worse. Just as bad loans are characterized by poor underwriting and callous terms, so good loans are properly underwritten alongside fair terms, and this is where our current practice of peer to peer lending shines. Unlike credit issuers in the above stories from India or Bangladesh, Lending Club and Prosper have fine-tuned a complex algorithm over the years so as to only issue credit to those who can handle it (defaults around 4%). These platforms only make money on repayments if borrowers stay current on their loans, so they are focused on keeping their default rates as low as possible. The result of this push for lower defaults is a better investment for their lenders, as well as a smaller group of borrowers who are burdened by loans they are unable to repay. Equally notable, peer to peer loans have some of the most reasonable loan terms in the United States. Since they have such low overhead from operating completely online, peer to peer lenders have lower interest rates than anywhere else, and this goes miles in reducing stress during a borrower’s repayment. Furthermore, peer to peer loans have a fixed term and no prepayment penalty. The money can only flow one way, so a borrower can never be tempted to go further into debt. The result is a future payoff date that promises a time when each borrower will be debt free, plus the ability to pay the loan off early without a fee. What is the result of all these low interest rate loans given to people who are likely to pay them off? It’s half a million creditworthy Americans who have consolidated their high-interest debt at a more reasonable rate and under more flexible terms. I emailed Lending Club CEO Renaud Laplanche for a metric to emphasize this point. He told me that the average borrower at Lending Club lowers their cost of credit by 29%. The word I keep seeing in the list above is able. People able to do more. Ability. Liberty. Freedom. And this is why I believe is peer to peer lending is beautiful – not just for the way it is making my retirement more of a sure thing, enabling me to spend more time with my future grandchildren, but for the way it is setting thousands of borrowers free. After all, it is one thing to give more liberty to investors who already possess some degree of it. But a far more significant thing is when an innovation like peer to peer lending shows up with the potential to release a massive cross-section of our country from the burden of debt altogether. Beautiful article covering a beautiful space. Well done, Simon. Great article Simon. Keep it up.